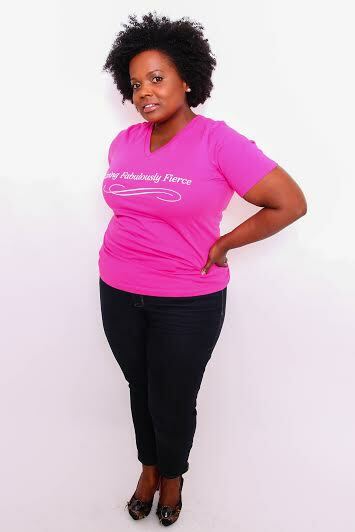 Living Fabulously Fierce SPOTLIGHT: The Fabulously Beloved……. Interesting Fact/Interest/Hobby/Something you think the LFF World to Know. I like to collect beads. For me, making beaded jewelry is a lovely, therapeutic activity. I enjoy spending time with my daughter doing this activity. To me, living fabulously fierce means being a trailblazer in your own right, owning your personal power and being able to communicate it to those that are relevant to your cause or mission. It means that wherever you are, you add a ‘plus’ – a ‘boost’. It is about being intentional about your life making a difference to those around you. I strive each day to see the beauty in life and to never lose sight of my soul as the images I capture or reference should always reflect the beauty in life that enriches the soul. How are you intentional about your brand? How do you live it? I’ve been doing a lot of internal work. I start my day with gratitude. I remain present as much as possible. My work is a reflection of my soul. I receive and I give. My brand needs more of my time. I’m inching closer and closer and I’m okay with that because I’m moving in the direction closer to my visions. My greatest accomplishment to date is my daughter. From the first moment I held her, I felt her love and the love I feel for her is indescribable. It is the greatest love I’ve ever known. She continues to bring me so much joy and has helped me more than she will ever know with overcoming some of the false beliefs that I held about myself. My appreciation of this awesome gift is my beacon of light in times of darkness. I count each day as an accomplishment and am filled with gratitude knowing that I was chosen to be her mom in this life. Checking off projects right now is the biggest challenge-too many ideas and not enough time to develop each. I’m learning to list them out. How do you recommend others stay true to themselves and live their personal brand? The foundation work cannot be skipped. We must connect with self to connect outwards in the sincerest way possible. What advice do you have for young girls, our up and coming fabulously fierce, around being their best selves. Never give up on your dreams and desires. Be truthful with yourself at all time and surround yourself with people who reflect positively on your life and others.